Century Lighting has been awarded the ETO (Energy Trust of Oregon) Commercial & Industrial Lighting "Outstanding Contribution Award" 3 years in a year in recognition of the work we do in assisting businesses improve their lighting and save energy. Lighting can account for nearly 35% of your businesses electricity use which has a big effect on your business's bottom line. Improved lighting can increase worker productivity and safety. New lighting components will also save on maintenance costs. The lighting industry understands this and is continually working on new lighting technologies that can better meet your needs while saving on your electric bill. Our energy audit teams are available to answer questions you may have about energy-efficient lighting and available utility incentives. Free lighting audits examine the energy needs and energy consumption of your work space, to help you find the ideal solution for efficient industrial lighting. We help you reduce your energy bills to increase your bottom line! Our energy auditors will perform free lighting audits of your space to examine your energy consumption and the quality of light being provided. Older lighting systems are inefficient in both. You will receive a report showing how higher efficiency lighting will effect your bottom line in energy savings and any incentives offered by your utility company that will help pay for your project. The lighting audit report will also illustrate for you the quickest return on investment for your project. After acceptance of our lighting energy audit and plan we will perform the work necessary to give you quality light output with energy reductions. Our team works with you to ensure your satisfaction with the lighting retrofitting of your facility. At Century Lighting we work with all of the local utilities and ETO to ensure you not only improve your lighting and save money on your energy bill, you will also be able to take advantage of any incentives and rebates available. We take care of all of the paperwork for you as part of our Free Lighting Audit program. Some examples of lighting retrofits include LED upgrades in offices, schools, parking lots, grocery stores and large industrial facilities. 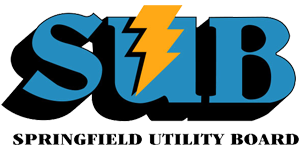 At SUB, we encourage customers to use the water and electricity they need, while never wasting a drop or kilowatt. To that end, SUB offers a variety of ways to save money by saving water and electricity. Upgrade your new or existing commercial facility to be more energy efficient. Examples of lighting retrofits include LED upgrades in offices, schools, parking lots, grocery stores and large industrial facilities. Why not have EPUD help you pay for replacing your existing lighting? EPUD can save energy for our large and small business customers through a variety of energy-efficiency measures. We know that not all commercial buildings are the same, so we have tailored a program to meet the needs of most every situation. Upgrading to new energy-efficient lighting, fixtures and controls can save energy and improve customer experience and employee productivity.